Today we will give you some tips of floor lamps for your living room designs. Mid-century modern floor lamps are very special pieces that can definitely help you achieving an amazing living room. Characterized by the rhythmic composition of its elements, reduced shapes, clean lines and lots of black, Ike ﬂoor lamp truly embodies what a Delightfull piece is an elegant look full of reﬁnement and modernity. Stardust is ideal for a big classic dining room as well as in a modern living room, it will bring an astral beauty to your space. 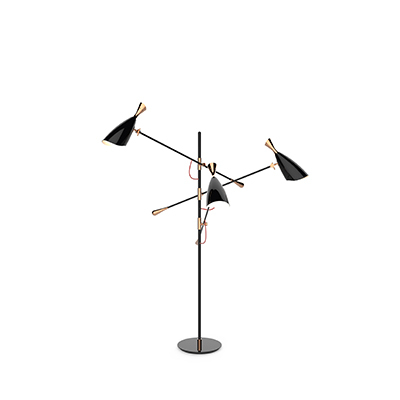 Janny floor light is a contemporary lighting design for you to use in your modern home.